Sleep apnea affects around 18 million Americans and can seriously affect your quality of life. 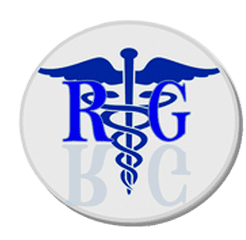 Dr. Rimma Gelbert, located in Brooklyn, New York, is experienced in the diagnosis, care, and treatment of this common sleeping disorder. Call or book an appointment online to begin working at Rimma Gelbert Medical PC to treat your sleep apnea today. Sleep apnea is a sleeping disorder where you pause breathing up to hundreds of times a night, and often for more than a minute. Sleep apnea most often affects men who are overweight, over 40, and smoke. However, this disorder can affect people of both sexes and all ages. What are some long-term effects of sleep apnea? To help you avoid these dangerous, life-altering complications, Dr. Gelbert is experienced in diagnosing and treating sleep apnea. What are some ways to treat sleep apnea? Dr. Gelbert works closely with you to determine both the cause and appropriate treatment plan for you. It’s essential to avoid the long-term effects of not breathing well while you sleep. Call or book an appointment online today for a consultation with Dr. Rimma Gelbert about your sleep apnea.